At Basin Environmental the current Senior Project Managers, Darcy O'Brien, B.Sc., RPF. and Darren Rath, B.Sc., P.Biol., bring over 20 years of experience in the environmental consulting industry. The current Senior Project Managers, Darcy O'Brien, B.Sc., RPF, Darren Rath, B.Sc bring over 30 years of experience in the environmental consulting industry. Darcy O'Brien has a B.Sc. degree in Forest Management from the University of Alberta with over fifteen years of environmental consulting experience in a variety of industry sectors including oil and gas, seismic exploration, transportation, and land development projects mainly in Alberta and Saskatchewan. His background is in forest management with considerable field experience conducting ecosite mapping, timber assessments, vegetation, soil and wildlife surveys, wetland assessments and riparian health assessments. He is currently a Principal, Senior Project Manager with over fifteen years experience in the environmental field, including permitting and regulatory filings. Darcy has extensive project management experience with small and large oil sands projects. Work completed for these oil sands projects include oil sands explorations plans, coal exploration plans, caribou protection plans and reclamation inspections/certificates. Other environmental experience within Alberta includes environmental assessment (EA) reports, biophysical impact assessment (BIA) reports, wetland Impact Assessment (WIA) reports, environmental field reports (EFR), landscape analysis tool (LAT), enhanced approval process (EAP), Alberta environmental monitoring, ecosite/soil classification, road/cut block layout and Phase I and II environmental site assessments. Throughout his career he has gained experience in successful implementation of projects and communication with individuals ranging from crews to landowners to clients to regulators. 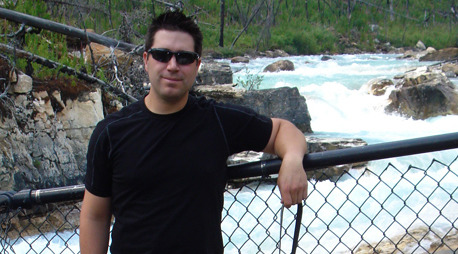 Darren has extensive project management experience with small and large oil sands projects. Work completed for these oil sands projects include Oil Sands Exploration (OSE) Plans, Coal Exploration Plans (CEP), Caribou Protection Plans (CPP) and reclamation inspections/certificates. Darren also has a vast experience in Alberta’s conventional oil & gas sector providing Environmental Field Reports (EFR), Enhanced Approval Process (EAP) Supplement and Landscape Analysis Tool (LAT) documents, Pre-Disturbance Site Assessments, and Detailed Site Assessments (DSA). Experience on federal lands includes environmental assessments on Oil and Gas Canada lands which includes the Louis Bull, Wabamun, Wabasca, Kehewin, and Frog Lake First Nation Reserves and military leased land on the Canadian Forces Base Wainwright. Experience specific to Saskatchewan includes the completion of Private Land Checklists (PLC), project proposal and restoration plans, and Environmental Protection Plans (EPP). In addition, regulatory approvals and reporting for the province's first ever oil sands exploration and development. Other environmental experience within Alberta includes Alberta Environment Water Act Notification, Surface Material Exploration (SME)/Surface Material License (SMC)/Surface Material Lease (SML), detailed site assessments (DSA), topsoil and vegetation surveys for transportation projects, and Phase I Environmental Site Assessments (ESA) for both industrial and commercial sectors. Wes has a diploma in Environmental Sciences from NAIT and is currently enrolled in Eco Canada's Environmental Professional program. He has nearly three years of field experience conducting Phase I, II and III Commercial Environmental Site Assessments. Wes has extensive experience conducting and coordinating projects all over Northern Alberta. Wes' current interests are focused on commercial Phase I, II and III Environmental Site Assessments and business development. Dan Cooper has an Honours Biology Degree from Trent University and a Fish and Wildlife Technology Diploma from Sir Sandford Fleming College. Dan has a diverse skill set with experience in fisheries, wildlife, birds and more recently vegetation and soils. He has almost 3 years of post-graduation experience in environmental consulting; including qualified aquatic environmental specialist (QAES) assessments, electrofishing (both boat and backpack), construction monitoring, water quality monitoring, breeding bird surveys, environmental spill response and wildlife rescue/trapping, general wildlife assessments and report writing. Work experience prior to graduation includes Fisheries Research Technician (2 years) and Provincial Parks employee/supervisor in Algonquin Park (5 years). Dan’s current interests and responsibilities with Basin Environmental are focused on fulfilling environmental fieldwork and reporting needs of all types and continuing to grow his diverse skill set. Dan’s primary goals are to help grow the fisheries department at Basin and to pursue his Professional Biologist Designation. Suzanne Thompson, B.Sc., P. Biol., R.P. Bio. Suzanne is a Biologist with over 8 years of experience primarily in aquatic environments with a focus in linear developments (e.g., pipelines, roads, and transmission lines) and mining (i.e., construction and operations) activities. Throughout her career, Suzanne has extensive experience working in a field capacity and developing technical reports, environmental plans and permitting applications for a variety of regulatory agencies. Suzanne has working knowledge of provincial and federal legislation including, but not limited to: Federal Fisheries Act, Navigation Protection Act, National Energy Board Act, Canadian Environmental Assessment Act, Alberta’s Water Act and Codes of Practice, British Columbia’s Oil and Gas Activities Act, Environmental Assessment Act and Water Sustainability Act. Suzanne has experience in the following: Qualified Aquatic Environmental Specialist (QAES) assessments; Water Quality Monitoring (WQM) and Fish Salvage plans; Applications and Notifications under the Alberta Water Act; Fisheries Act Applications and Self-Assessments; Environmental Protection and Mitigation Planning; Environmental Effects Monitoring (EEM); Fish Habitat Offsetting Planning and Effectiveness Monitoring; Environmental Baseline Field Work and Literature Reviews; Environmental Assessments (EA) and Environmental Impact Statements (EIAs), among others. British Columbia College of Applied Biology (CAB) – Registered Professional Biologist (R.P. Bio.). Courtney Kelly, B.Sc., P. Biol. Courtney Kelly has an Honours Biology Degree from Western University and an Ecosystem Management Technology Diploma from Sir Sandford Fleming College. Courtney has over 6 years of experience, with a diverse skill set which includes: ecosite classification, wetland assessments, vegetation surveys, construction monitoring, water quality monitoring, biodiversity surveys, wildlife identification, wildlife monitoring, environmental spill response, technical report writing, permitting for a variety of regulatory agencies and project management. In the past two years, Courtney has primarily focused on wetland biology; providing regulatory support and guidance. Courtney’s current interests and responsibilities with Basin Environmental are focused on wetland ecology. These duties include but are not limited to: environmental assessment (EA) reports, biophysical impact assessment (BIA) reports, wetland impact assessment (WIA) reports, wetland permanence assessments, wetland delineation, ABWRET. Leigh is a biologist with over ten years of environmental consulting experience in Alberta and BC with a focus on primarily aquatic environments with expertise in biophysical impact assessments, fish and wildlife surveys, riparian area assessments, mitigation planning, habitat restoration, regulatory applications, technical report writing, and project management. She has worked on projects in a variety of sectors including renewable energy (i.e., solar and run-of-the-river hydroelectric projects), transportation corridors (i.e., road and rail), utility expansions, residential and commercial land developments and oil and gas. Leigh has a working knowledge of provincial and federal legislation including, but not limited to: Federal Fisheries Act, Navigation Protection Act, Canadian Environmental Assessment Act, Alberta’s Water Act and Codes of Practice, Wildlife Act, Environmental Protection and Enhancement Act, British Columbia’s Environmental Assessment Act, Water Sustainability Act, Riparian Area Regulations, and Wildlife Act. Leigh has experience in the following: Qualified Aquatic Environmental Specialist (QAES) assessments; Water Quality Monitoring (WQM) and Fish Salvage plans; Instream Construction Monitoring; Riparian Area Assessments (RARs); Applications and Notifications under the Alberta Water Act; Fisheries Act Applications and Self-Assessments; Environmental Protection and Mitigation Planning; Fish Habitat Restoration Planning and Effectiveness Monitoring; Environmental Baseline Field Work and Literature Reviews; Environmental Assessments (EA) and Environmental Impact Statements (EIAs), among others. Javan Green has a Bachelor of Science with Ecology Specialization from the University of Alberta. Javan is a Wildlife Biologist with over 6 years of experience in environmental monitoring, protection and regulatory compliance. He has experience conducting desktop assessments and baseline field assessments, construction monitoring, and preparing technical reports, environmental plans and regulatory permit applications. Javan has experience in the following: Wetland Assessments; Wildlife Assessments and Monitoring; Qualified Aquatic Environmental Specialist (QAES) Assessments; Water Quality Monitoring (WQM) and Fish Salvage activities during construction and spill response; Wetland and Watercourse Remediation; Environmental Protection and Mitigation Planning; and Environmental Assessments (EA), among others. Vanessa Vitorino has a B.Sc. degree in Earth and Atmospheric Sciences from the University of Alberta. Her core strength is creating technical drawings to supplement wetland assessments and aggregate development/reclamation. Vanessa has been involved in numerous aggregate reclamation plans on both private and public lands. She is well versed in the Public Lands Act, and Water Act, completing Disposition Applications and Water Act Approvals/Licenses. She has been involved in numerous wetland assessments under the new Alberta Wetland Policy, and is responsible for the submission of Water Act Applications and Wetland Replacement Plans to the Province. Vanessa’s current interests and responsibilities as an Environmental and GIS Technologist is creating technical drawings and competing wetland assessments. College of Applied Biology – trainee(R.B.Tech). David Leskiw has a B.Sc. in Forest Business Management from the University of Alberta and is currently a Registered Professional Forester in Alberta. David has over fifteen years experience in both the Forestry and Oil and Gas industriesy. He initially started his career in Forestry working in both Alberta and British Columbia. There he gained experience in harvest planning, layout, vegetation assessments, creek assessments, planting supervision and logging supervision. David then moved into the Oil and Gas Industry as an Environmental/Regulatory Consultant. As a Consultant his primary role was to assist Companies plan out their projects on Crown land. His responsibilities included; scouting well and pipeline locations, consultation with regulatory bodies and special interest groups, coordinate survey activities and complete regulatory applications (includes Environmental Field Reports, Enhanceds Approval Process Reporting, Landscape Analysis Tool Reports, Water Act Notification, and Temporary Field Authorization Reports). David also has experience working on various oil sands exploration (OSE) projects. Work completed on these projects include environmental assessments, reclamation supervision and Environmental Inspection on drilling programs. Other work experience includes work within the Utility Industry. Here he worked on large transmission lines where his primary role was to manage and supervise the clearing of powerline right of ways and construct any required access. David continued to expand his consulting role within the Oil and Gas Industry by providing suspended well inspection (Directive 13) and pipeline discontinuation/abandonment services (AER Manual 005). Matthew Henry, B.Sc., M.Sc., P. Biol., R.P. Bio. Matt Henry has a B.Sc. in Biology and M.Sc. Integrative Biology from Wildfrid Laurier University. Matt has 6 years of experience primarily in aquatic environments with a focus on linear development (e.g. pipelines, roads, and transmission lines) and fish habitat restoration with Alberta Environment and Parks (AEP). He has conducted biophysical impact assessments, fish rescue, fish habitat restoration, general wildlife assessments, regulatory applications and technical report writing in Alberta, British Columbia and Manitoba. More recently, Matt worked as an Environmental Inspector/QAES for pipeline projects in Northwestern Alberta providing construction recommendations and mitigation for watercourse and wetland crossings, topsoil handling, wildlife mitigation, water quality monitoring, drilling fluid handling and fluid disposal, and watercourse, wetland and right-of-way reclamation. Matts current interests and responsibilities with Basin Environmental are focused on fulfilling environmental fieldwork and reporting requirements. Matts primary goals are to support and coordinate field crews for various linear development projects while continuing to grow the fisheries department at Basin. Kris Cernele, B.Sc., Dipl. Fish and Wildlife Tech, EM Tech. Kris Cernele has an Honours Biology Degree from Trent University, as well as Fish and Wildlife and Ecosystem Management Technician Diploma’s from Sir Sandford Fleming College. Kris provides a well-versed skillset with regards to fisheries, fish habitat and aquatic biology. He has 1+ years of experience with regards to environmental consulting; including qualified aquatic environmental specialist (QAES) assessments, electrofishing (both boat and backpack), construction monitoring, water quality monitoring and report writing. Work experience prior to graduation includes Aquatic Resource Technician; RT-2, Crew Lead (3 years), Aquatic Resources Technician; RT-1, Crew Member (1 year) with the Ontario Ministry of Natural Resources and Forestry (OMNRF), as well as an Aquatic Monitoring Assistant with Central Lake Ontario Conservation Authority. Kris’ current interests and responsibilities with Basin Environmental are focused on fulfilling environmental fieldwork and reporting needs of all types while expanding a diverse skillset. Kris’ primary goals are to help grow the fisheries department at Basin and to pursue his Professional Biologist Designation. Willi Powell has an Honours Biology Degree from Wilfrid Laurier University. Willi has been able to develop a diverse skill set with experience in fisheries, wildlife, timber, vegetation and soils. He has 4 years of consulting experience for oil and gas, mining, and infrastructure developments including; qualified aquatic specialist (QAES) assessments, electrofishing (both boat and backpack), migratory bird surveys, general wildlife assessments, vegetation and timber assessments, soils assessments, construction monitoring, water quality monitoring, and technical report writing. Willi also has 8 years of experience working as a Fisheries Technician and Assistant Fisheries Biologist with the Ontario Ministry of Natural Resources and Forestry. Willi’s current interests and responsibilities with Basin Environmental are focused on fulfilling environmental fieldwork and reporting needs. His primary goals are to continue to develop a diverse skill set while continuing to grow the fisheries and wildlife departments at Basin. Renee Burns has a diploma in Environmental Sciences from NAIT. She is also a Certified Engineering Technologist (C.E.T) in good standings registered through ASET. Renee has over 5 years experience in conducting Phase I, II and III ESA’s throughout Alberta, British Columbia and Saskatchewan. Furthermore, she has experience conducting Environmental Compliance Audits for both private companies and large government institutions. Other work experience includes working for utility companies in Monitoring and Compliance as it pertains to City of Edmontons sanitary/ storm drainage systems and waste water treatment plant. She is also experienced in performing HSE Audits for commercial, industrial and government institutions throughout North America. Renee also holds experience working as an Environmental Advisor performing water quality analysis and animal relocation services for large refineries located in Alberta. Renee is also enrolled as a EPt working towards obtaining her Environmental Professional (EP) designation. Registered Certified Engineering Technologist (C.E.T) through ASET. Jessica Demetrick has a B.Sc. degree specializing in Environmental Earth Sciences from the University of Alberta. She is primarily responsible for creating technical drawings via ArcGIS for wetland assessments, the development/reclamation of aggregate pits, and fieldwork. Her responsibilities extend into technical report writing for sand and gravel operations, general report preparation, and submitting disposition applications through the Electronic Disposition System (EDS). Jessica’s current interests and responsibilities as an environmental technologist is creating technical drawings, technical report writing, and submitting EDS disposition applications. Meagan has 5 years of field experience, with a diverse skill set which includes: vegetation surveys, wetland assessments, ecosite classification, lichen surveys/identification, wildlife identification and biodiversity surveys. Meagan’s experience is in both terrestrial and aquatic with a primary focus on wetland biology in the last two years. Meagan’s current interest and responsibilities with Basin Environmental are on fulfilling environmental fieldwork and reporting needs. Meagan’s primary goals are to continue to grow her diverse skill set and wetland experience. Dalei has almost 30 years of experiences on hydrotechnical engineering and surface water management projects across Canada, China and USA. He has helped clients find technical sound, environmentally friendly and cost-effective solutions. As a professional engineer, Dalei has completed various of types of projects including thousands of existing and proposed pipeline watercourse crossings, numerous road watercourse crossings, bank erosion protection, flood control management and flood mitigation plans, water supply studies, weirs and intakes. Dalei is knowledgeable of various relevant engineering design standards, codes, best practice guidelines and technical references. He has strong project management skills including scope and schedule setup, budget estimate, and meeting deadlines. Dalei has strong interpersonal skills to lead and manage multi-disciplinary project teams, collaborate and work efficiently with engineers, scientists and managers at all levels, and communicate effectively with clients.